A Supreme Court Bench headed by Chief Justice Dipak Misra has directed the Delhi High Court to dispose off the Criminal Appeal filed by Delhi Police against former Indian Cricket player S. Sreesanth's discharge in the IPL spot fixing case, by the end of July. The Bench was hearing an Application filed by Sreesanth seeking an interim order from the Supreme Court for allowing him to play English County cricket this season. “He has lost his playing time here...there is an offer for him to play abroad...please allow him to play for one season...he would be outside of India and there would be no interference here...”, urged Senior Counsel Salman Khurshid, appearing on behalf of Sreesanth. “Even when one’s wicket falls, they are allowed a chance in the second innings...he has already suffered for 4 years...only 3 months remain for the season...”, pressed Mr. Khurshid. “The petitioner has been banned under the Code...to reach to the top and then speak to a broker to accept Rs. 10 lakhs, utilise Rs. 3 lakhs and have him retain the remaining 7 lakhs and then claim the money to be for charity?...”, argued Mr. Tripathi. The bench requested the Delhi High Court to dispose off the criminal appeal by the end of July, scheduling the matter for further hearing before itself in August. 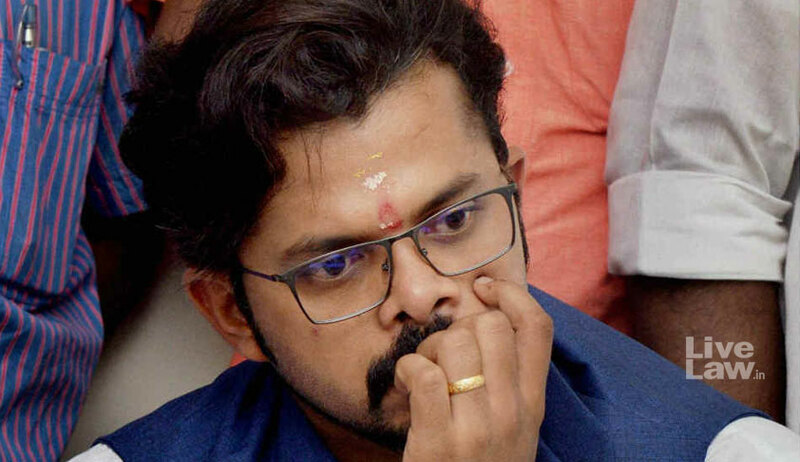 On February 5 the bench had issued notice to BCCI on the special leave petition filed by Sreesanth against the judgment of a division bench of Kerala High Court that restored the life ban imposed on him by the Board in the wake of the 2013 IPL spot fixing scandal. The bench of Chief Justice Dipak Misra, justices A M Khanwilkar and D Y Chandrachud had sought the response of the BCCI within four weeks. Sreesanth had been given four weeks from then on to respond to the Board's reply. When senior advocate Salman Khurshid who appeared for Sreesanth said he has not played for six long years and pleaded that there be a speedy hearing of the plea, CJI had said "no we are not going to pass any interim order". Senior advocate Parag Tripathi appearing for BCCI had tried to explain the reasons for the ban and the "evidence" against Sreesanth but the CJI said "we are not hearing it today.Only issuing notice".